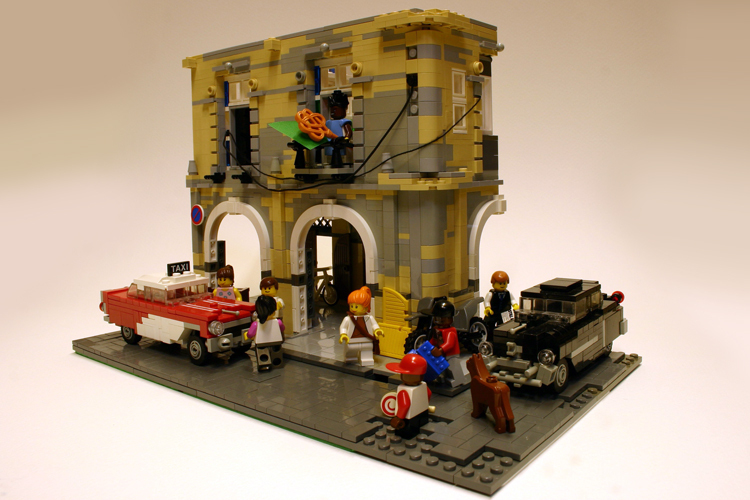 Brick Town Talk: More from Patrick Bosman - LEGO Town, Architecture, Building Tips, Inspiration Ideas, and more! Patrick Bosman is one of the current most talented city builders, and each time a new MOC comes up I can allways be surprised by his work as it is all so original. This time I highlight 2 MOC's: one is a portrait of Havanna - a real cool and complex creation that catches the mood of the capital of Cuba. The second one is actually a building from 1908 and the LEGO version itself looks completelly alike the photo Patrick shows us. But enought of talk see for yourself.